My name is Göran Nilsson. I am a management consultant specializing in solutions for the banking community living in Stockholm, Sweden. Specifically, I develop and enhance risk rating systems and procedures. Familiar topics are Basel II/III, Solvency II, Loan to value ratios as well as scoring and value at risk modelling. I live in Stockholm with my family. 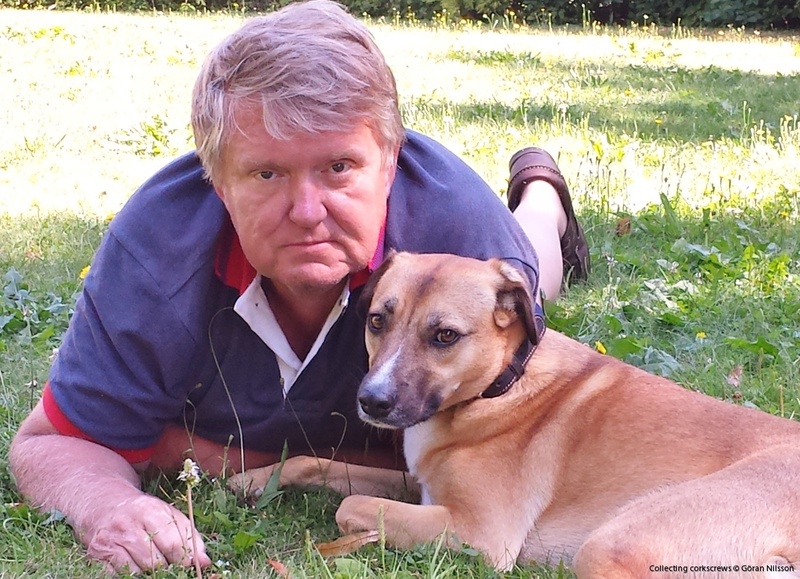 To the right with me is our family dog Enzo a summerday 2014. Summer 2014 has characterized by nice temperatures and mild tropical winds. This is quite unusual for Sweden . Enzo does not care about corkscrews and he does not appreciate a nice bottle of wine. Good for him ! Enzo is a fantastic dog and I find it hard to be away from him more than a couple of days. Those of you that have a dog know what I mean. During spare time I try to develop my tennis skills, as well as my downhill capabilities. I also have a keen interest in high performance cars, contemporary swedish art, gardening and enjoy dining with friends and a nice bottle of wine. 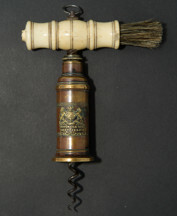 I am also a corkscrew collector member of the ICCA. 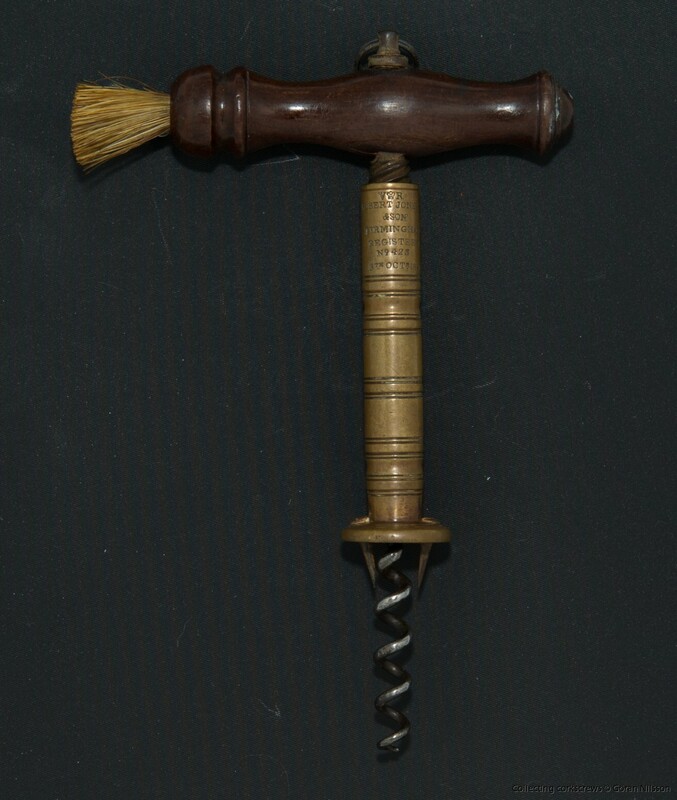 We are talking vintage corkscrews dating some 200 years. My main focus is British registered designs and patents. My interest for British corkscrews started when I was living and working in London. I worked in the city and lived in Bayswater for almost 6 years after the 1993 recession. To some extent I miss London and the city, despite the fact that everything is and has changed. I am still a frequent flyer and come back to London at least twice a year. The British corkscrews are top quality designs usually still with an excellent patina and functionality. 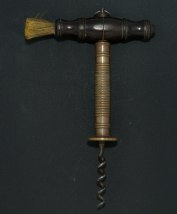 This is my page where I have some of my corkscrews on display. On my page I will only display absolutely top mint quality items. Please feel free to contact me if you have interest in buying or selling a corkscrew, valuations or other questions concerning corkscrews. Please also visit my other pages for more info on various techniques to extract the cork. Furthermore, I have documented the story of some famous corkscrew manufacturers as well as distinct photos of the badges and markings of the past inventors not to be forgotten. The manufacturers have very different backgrounds. Robert Jones background was in the steel toy manufacturing business. Thomas Lund did vanity boxes as a start. Cotterill made locks with advanced clutch solutions and used the same ideas in making corkscrews. 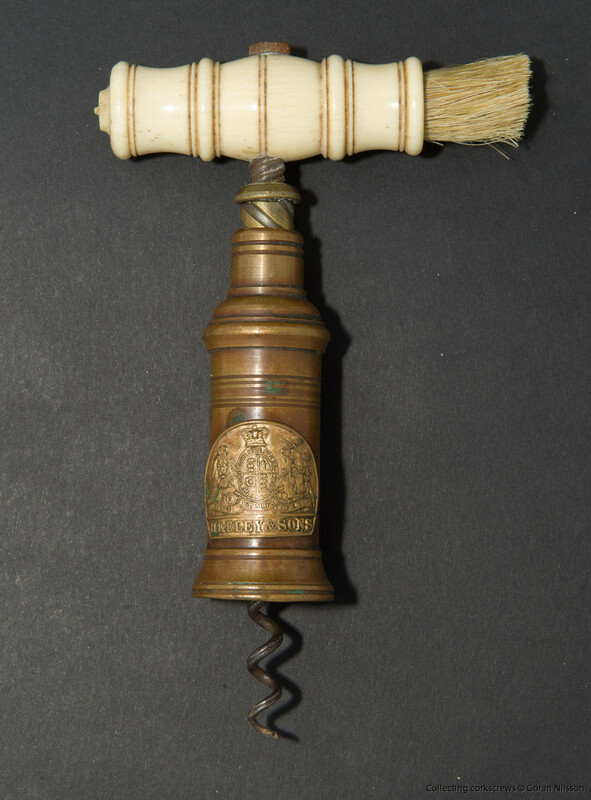 John Mechi started manufacturing highend cutler's items and razor equipment. 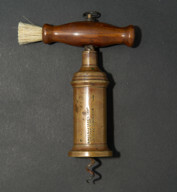 Vaughan made siphons and used this idea in making corkscrews. Hipkins was probably the most technologically advanced manufacturer and he became director of a very large and still trading company. Heljestrand and the Libergs emerged from steel manufacturing. Heljestrand had connections in England and made several journeys to improve skills in razorknifve's manufacturing as well as corkscrews. Julius Slöör and Berndt August Hjorth were merchant persons and not inventors in the same sense as the others. Please read the full story of these manufacturers on my page. They were all different in their approaches and missions, but they all participated in the industrial revolution. 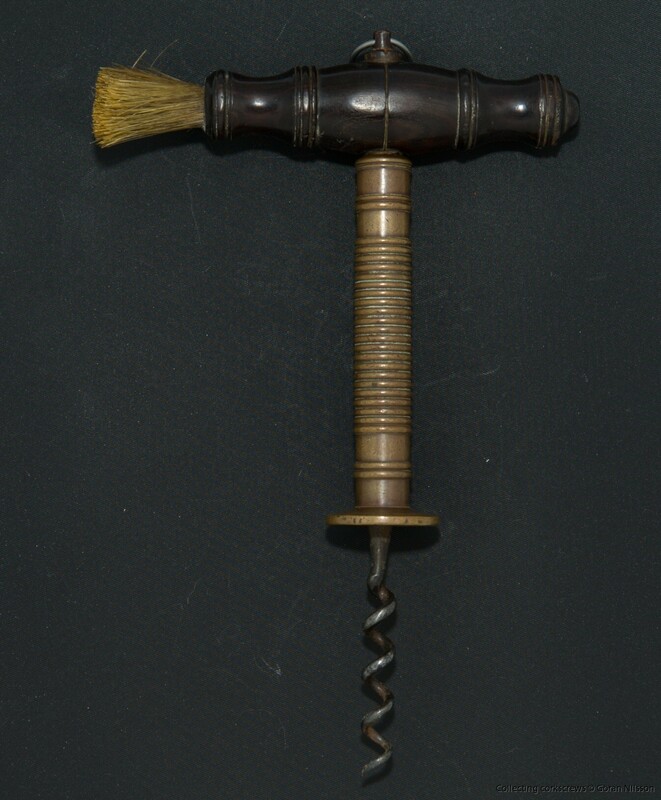 Then there were others who were small unknown manufacturers but made or retailed early steel corkscrews. Georg Palmer is an example of such a retailer. Another insignificant producer was Joseph Willmore of Birmingham. He made excellent silver items including silver corkcrews. However, his name is completely forgotten. Enjoy and please give me some feedback what you think by mail, facebook or twitter ! 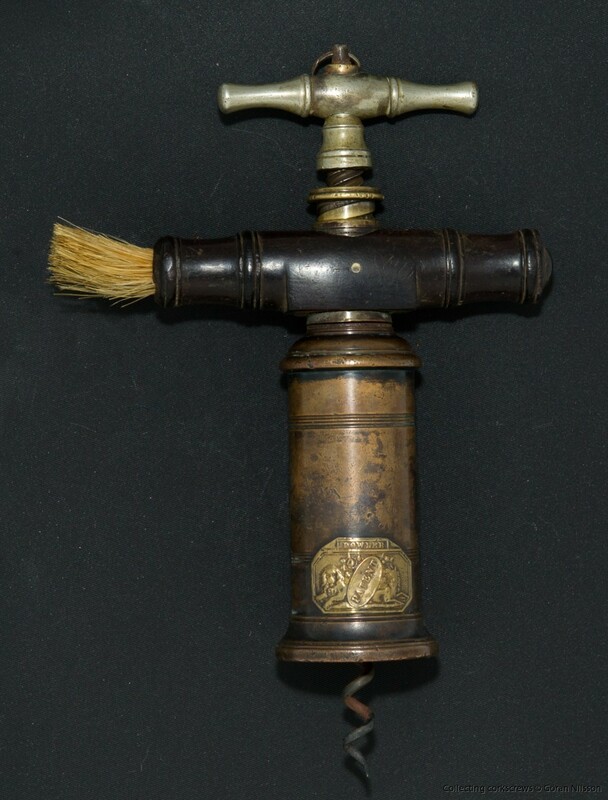 Thomason variant made by Dowler. Excellent quality. A slim barrel approach. Nice cylinder barrel. Unmarked. Slim barrel. Robert Jones first patent. James Heeley and son on a Thomason. Distinct barrel ! Quality at it's best ! Half pipe design by Brookes and Son, Sheffield. This is a Mabson design Thomason. Made by Heeley. Rare ! 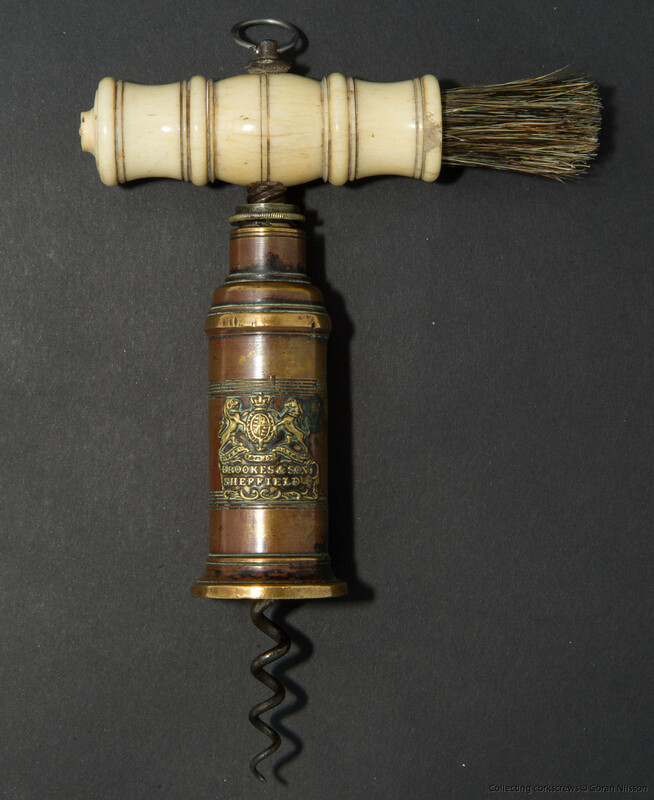 Facebook group of corkscrew collectors who discusses faked, married and other problematic corkscrew pieces.